08-30-03 --> Changed Healing and Magic Healing to heal two clicks. A couple more changes to the Conquest Deck. 08-29-03 --> Added Dungeons Rules. Changed Basic Rules to give 2 gold per settlement each turn instead of 1 (speeds things up quite a bit!). The beast is now a feature in the Advanced Rules. Numerous adjustments to the Conquest Deck and Rare Cards Deck. Many other miscellanous adjustments to the rules. Mage Knight Lands of Conquest (MKLoC for short) is a variant of Mage Knight Rebellion in which two or more players compete to gain control of key points on the battlefield, while continually grow and expand their armies. By occupying these points, which are called settlements, the money with which to buy additional troops is accumulated. Whichever player can maintain control of more of these will be able to afford more and better troops. In this respect it is not unlike the popular board game Risk and other war strategy games you have probably played before. Lands of Conquest is a complex game. Those who tire of standard Mage Knight Rebellion battles should find the strategy in Lands of Conquest refreshing and stimulating. Your army size is constantly changing, and even the factions from which you choose your new warriors change as you lose and gain control of different settlements. 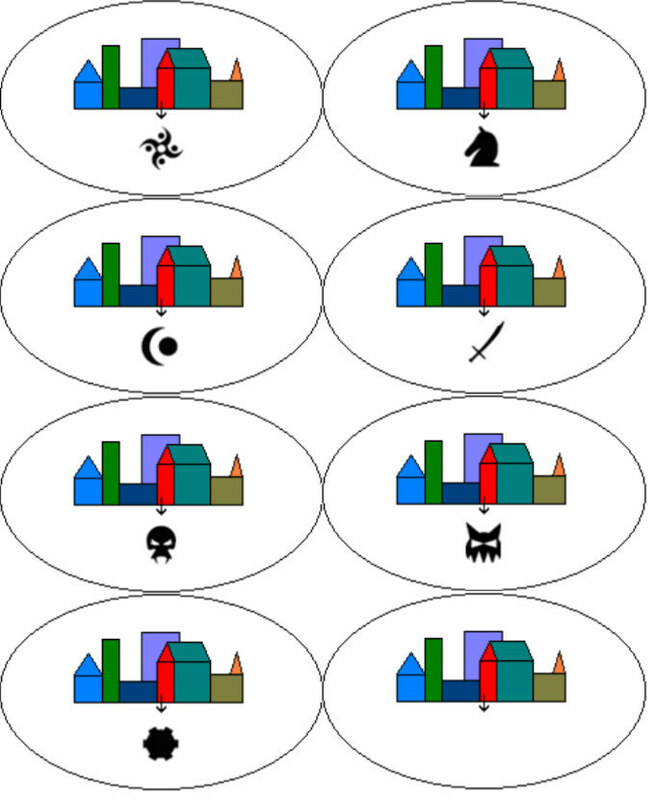 An added element of the game is the shared deck of Conquest cards from which each player will draw one card each turn. These cards produce varied effects which can be incorporated into that turn's strategy. One warning about MKLoC is that the games tend to last fairly long. Though they can end quickly at times, it is not uncommon for a game to go on for several hours. This is due largely to the time that players spend in shopping for warriors on the buy troops phase of their turns. Enough chit-chat, let's get into what materials you need to play the game. Most of these you already have and others you can probably find in your house, but some you will have to take time to prepare. Your own personal collection of Mage Knight figures. You may want to pool your collection together with a friend or whoever you are playing with. Just make sure your own figures are labeled beforehand so that you can separate them afterwards! Besides the usual tokens used to mark which warriors have been given actions, a few special tokens will be used to mark ghost settlements. This is used to keep track of each player's gold supply. Standard Mage Knight terrain works fine. Similar to terrain, these are cutouts of towns, forts, and castles, which you will place on the battlefield before the game begins. The files you need are all here. Print out one of each. Then use scissors to cut out the individual settlements from each sheet. Depending on how many players you have, you may want to print out multiple copies of each of these files. 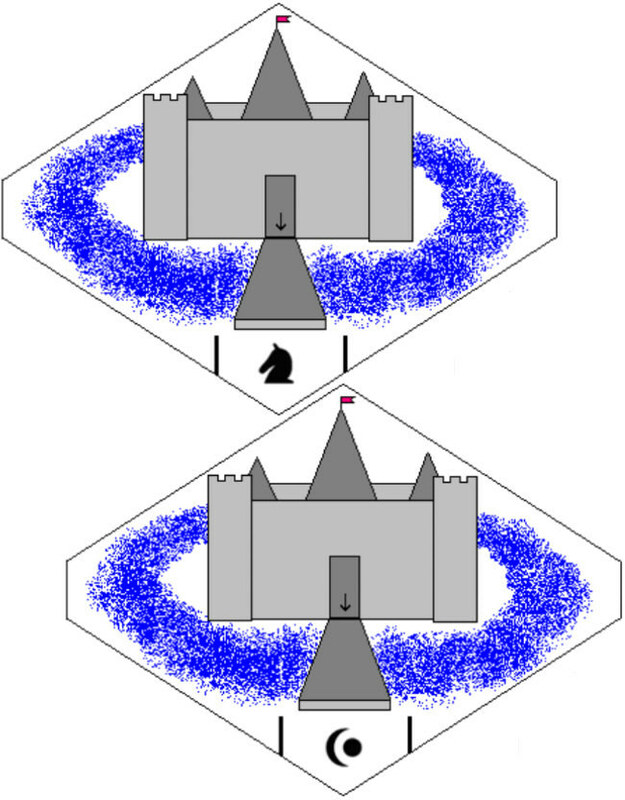 For a two-player game, one of each is minimal but sufficient. The symbol with the monster's head denotes Mage Spawn. The settlements without a faction symbol on them can be used as spares or as mining settlements (see Advanced Features). If you don't like the art, you are welcome to create your own settlements, but be sure to keep them the same size. 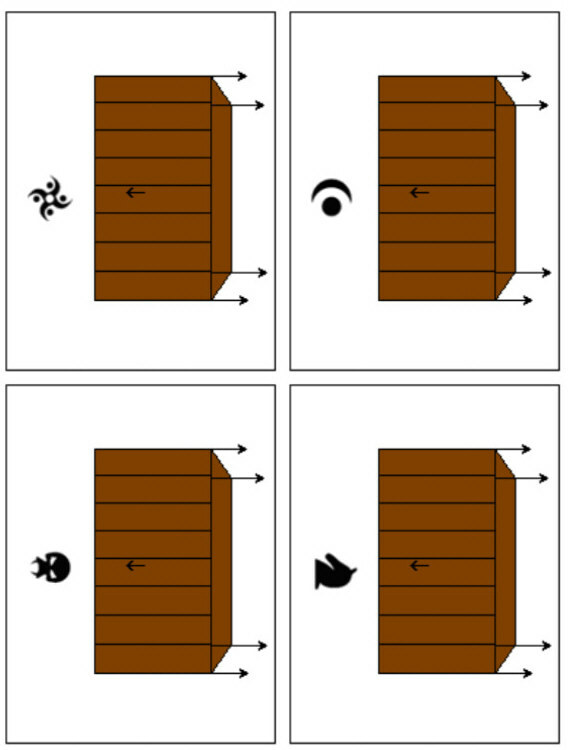 A few of us were planning on making fronts and backs for each of the cards in the original Conquest Deck for anyone to print, but that plan has come to nothing. You can still get started playing Lands of Conquest by using a regular deck of playing cards to substitute for the Conquest Deck. 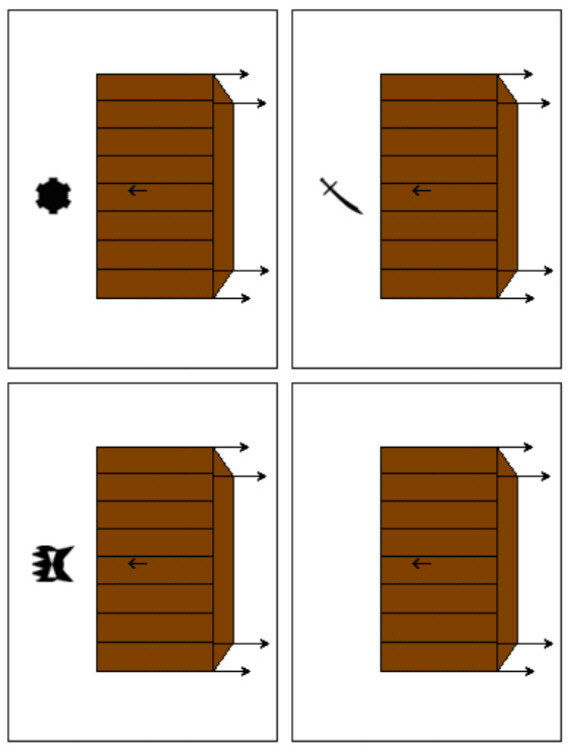 The following table shows which playing cards correspond to which Conquest cards. Alternatively you can make your own deck, typing or writing the text onto index card halfs, or something of that nature. Constructing the deck yourself certainly requires more work, but it will make your game run smoother; recommended if you find yourself playing MKLoC often. These will function as command towers. If you have only one chess set, just the two rooks from it will probably be plenty. If you do not own a chess set, you can just use coins instead. Basic rules for Mage Knight Lands of Conquest are here. Print them out and keep them handy. Incorporated some are all of these optional rules into a game of MKLoC to spice things up! Advanced rules include mining settlements, the beast, the Rare Cards Deck, new terrain and special items, and the catapult. You must own some Mage Knight Dungeons in order to play with these rules. Dungeons rules include Hero Captains and Dungeons Chests. Have one player keep track of everyone's gold supplies. Because the Shyft, Draconum, and Solonavi factions are relatively small, they do not have a settlement associated with them in MKLoC. You may wish to combine the Shyft with the Spawn. You may wish to combine Draconum and Solonavi with whatever factions your collection is weakest in. If you can organize the troops for hire according to faction and then put each faction into a separate shoebox, players can pass the boxes around conveniently when they are shopping for troops. You may want to tape the settlements down to the table so that they don't get accidentally moved. In fact, my friends and I are in the habit of taping down all of our terrain. Check in here for advice on playing Mage Knight Lands of Conquest. These are strategy guidelines that I generally adhere to. You may find other strategies that suit you better. Up until now, Mage Knight Lands of Conquest has only been played in my tiny group of friends. I am greatly interested in hearing what others have to say about it. If you have any questions about the rules or anything, I'd like to hear that too. Mail me at sakurafiend@hotmail.com. Special thanks to those on MKRealms that contributed ideas to this game.